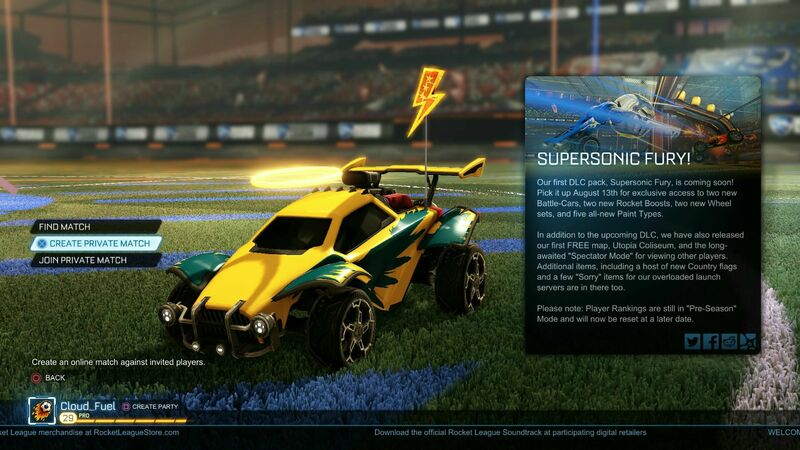 We are pleased to announce that all upcoming Rocket League Go4 Cups will be cross-platform! This means that both PS4 and PC players can battle it out in the arena at the same time. This article will help further explain the process of creating and joining a private match so that players from all over can get matched up with each other quick and easy! The team on the left of the "match info" page will always host the private match lobby. 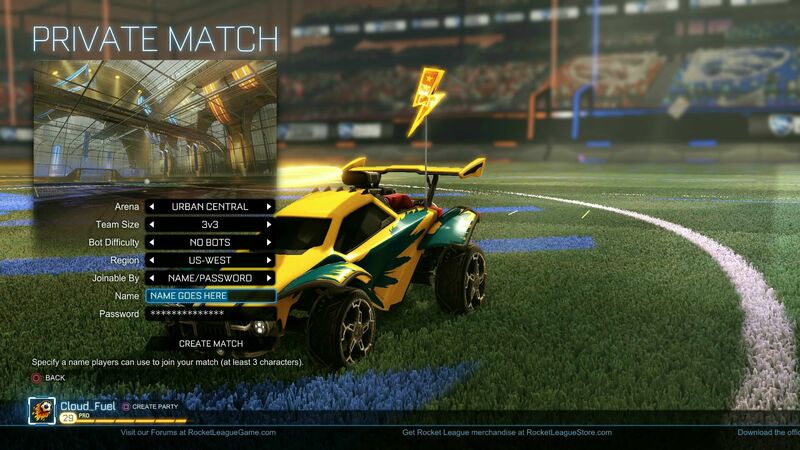 The host will then select "Play Online" and then "Create Private Match". The host must make sure the "Joinable By" option is set to "Name/Password". The host will then create a name & password (keep it simple) for teammates and the opposing team to enter. The host's teammates and the opposing team will select "Play Online" and then select "Join Private Match". 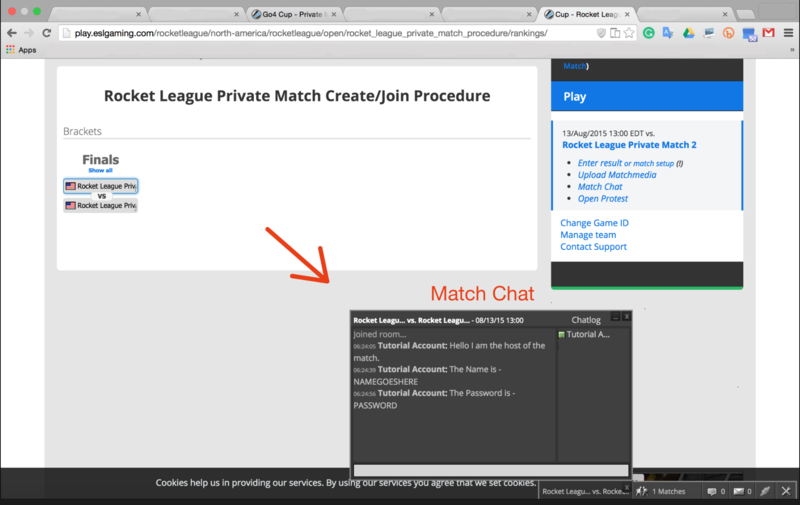 Players will then enter the Name & Password that will be communicated through match chat (match chat can be found on the bottom right-hand side of your screen on the ESL Play website). All players must be in the private match lobby before selecting teams. The team on the left of the "match info" page will always select orange, the team on the right of the "match info" page will always select blue. The game will then begin. Team on the left of the "match info"page will always host. Host selects "Play Online". Host selects "Create Private Match". Make sure "Joinable By" is set to "Name/Password". 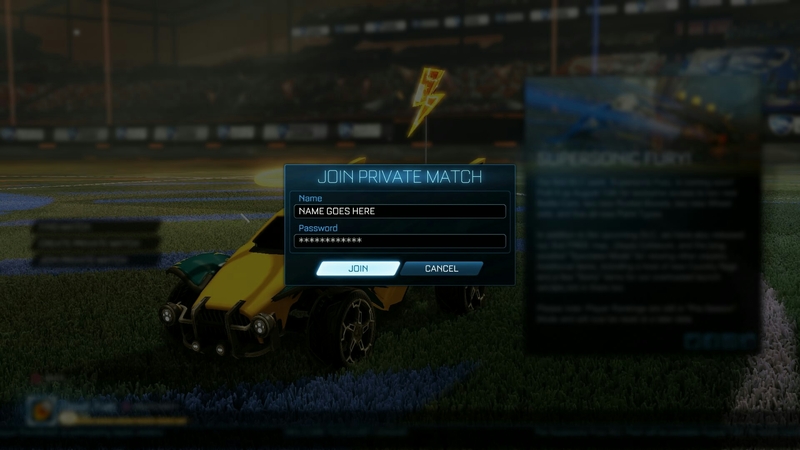 Create a Name/Password (keep it simple) for players to enter so they can join the private match lobby, then select "Create Match". The host's teammates and opposing team select "Play Online" and then select "Join Private Match". Host communicates Name & Password to teammates and the opposing team through ESL Match Chat (found on the bottom right-hand corner of your screen). Teammates and opposing team enter the Name & Password that was communicated through ESL match chat. All players must be in the private match lobby before selecting teams. The team on the left of the "match info" page will always select orange, the team on the right of the "match info" page will always select blue. The match will then begin. Make sure you don't forget to sign your team up for upcoming cups! 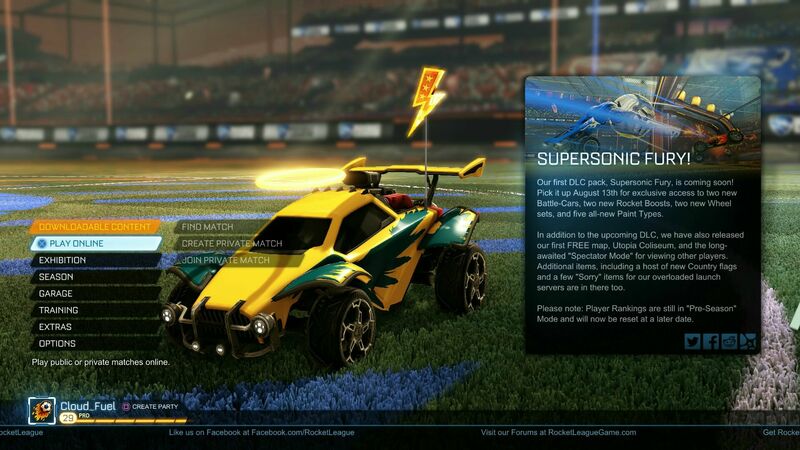 Make sure to like us on Facebook, and follow us on Twitter, to stay up to date with the latest Rocket League news. 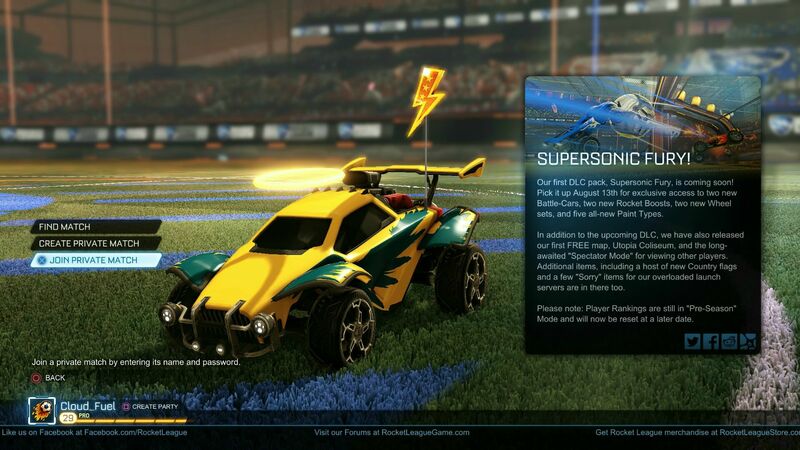 In Go4 Cup - South America, can we play in south america servers? Anybody interested in letting me join their 2v2 or 3v3 team? If I were to play a tourney Xbox against Xbox is that allowed? Can Xbox play in the tournament?